For Sale All Locations, South Carolina, Florence Estate Rd. 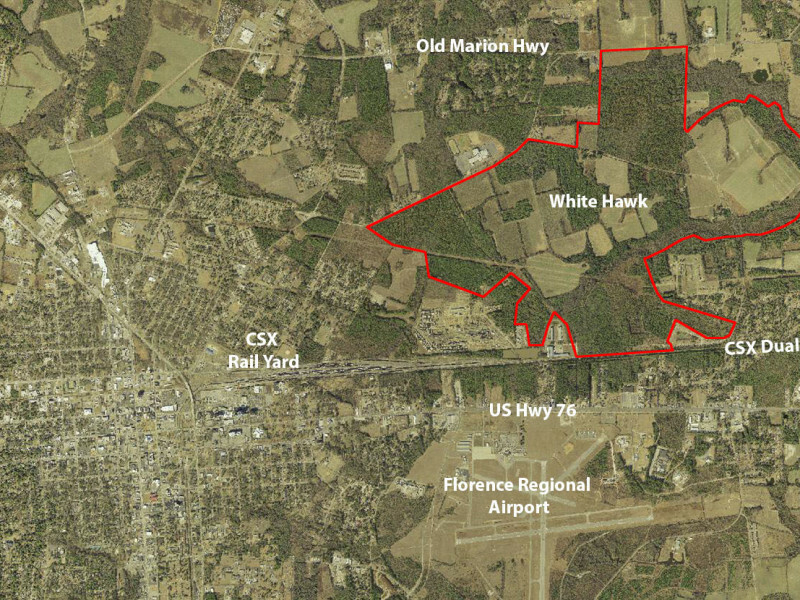 White Hawk has been certified both as a "shovel ready" +/- 1,175 acre multimodal transportation mega-site suitable for a single user and "just-in-time" suppliers as well as a multi-user industrial park that can accommodate several, individual companies in a campus-like setting. S&ME, a well-respected environmental engineering group involving mega-sites, believes WHCP's superior geological rating would save a major manufacturer millions of dollars in foundation costs and future insurance premiums. WHCP offers you an incredible on-site supply of all utilities a major manufacturing company could ever need ... such as a Duke Progress 115 V transmission line and (3) 23kV distribution feeder lines; competitively priced modern municipal water and wastewater services with several millions of gallons of daily excess at peak-use capacity; several SCANA natural gas lines; and state-of-the-art AT&T high-speed, fiber-optic telecommunication cables. We are ready to send you detailed utility maps of the electric power, water, sewer, natural gas, and fiber-optics that already exist on WHCP's "shovel ready" certified mega-site.